Putney Painter and award-winning artist, Carol Arnold, will be offering a two-day Plein Air Portrait workshop for all levels. Both days will begin with teaching demonstrations followed by plenty of one-on-one instruction as participants paint the portrait from life in the beautiful, shaded apple orchard outside. Students in the class will explore the importance of figuring out what they want to say before beginning a painting and then focus on learning how to ask the right questions, and discover the ways to get the right colors, values and edges in order to become more competent in executing their vision. 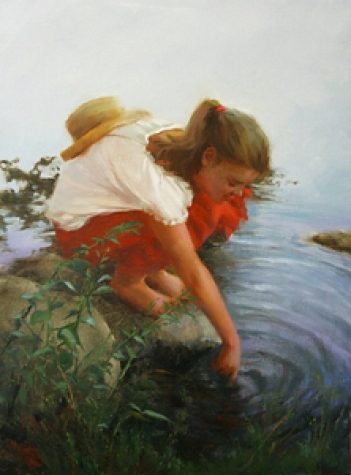 All levels: Participants should have some experience with basic oil painting. *Upon registration, a materials list will be sent.